Are you more Clonal Superb or China Exotic? 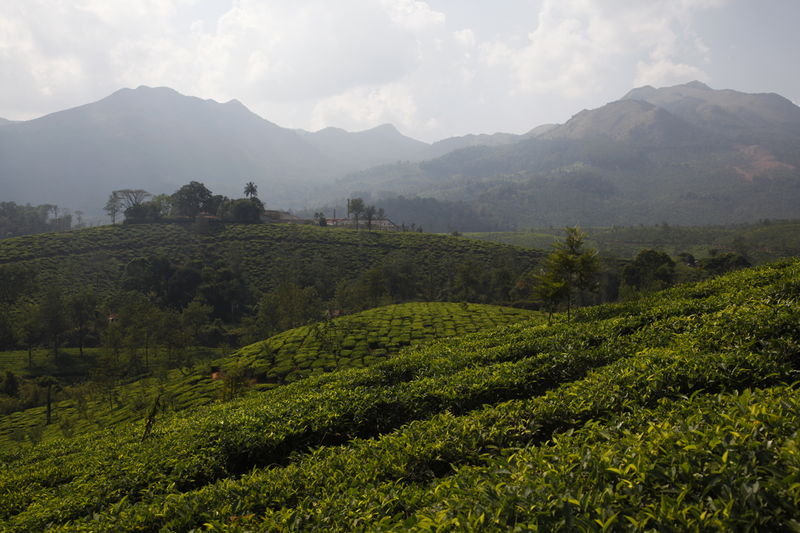 Indians use the name inherited from the British to describe tea leaves (see my previous blog post). However, in the past few years, they haven’t been content with the letters “FTGFOP” or even “SFTGFOP1”. So they’ve added more words, generally nice ones. Some have a specific meaning. Others sound pretty, and the producer uses them to indicate that this exceptional tea is worth an exceptional price, for the highest bidder. The former include the words China, Clonal and AV2, which refer to the tea plant. They stand for a variety that comes from China (Camelia sinensis sinensis), a hybrid (the word clonal is therefore inappropriate in French), and the specific name of the variety (AV2 for Ambari Vegetative no. 2), respectively. As for the latter, the imagination is the only limit when it comes to such terms as Exclusive, Delight, Exotic, Superb, Mystic and more. There’s also Wonder, Enigma and Euphoria. I bet that in the next year or two I’ll be offered Nirvana! 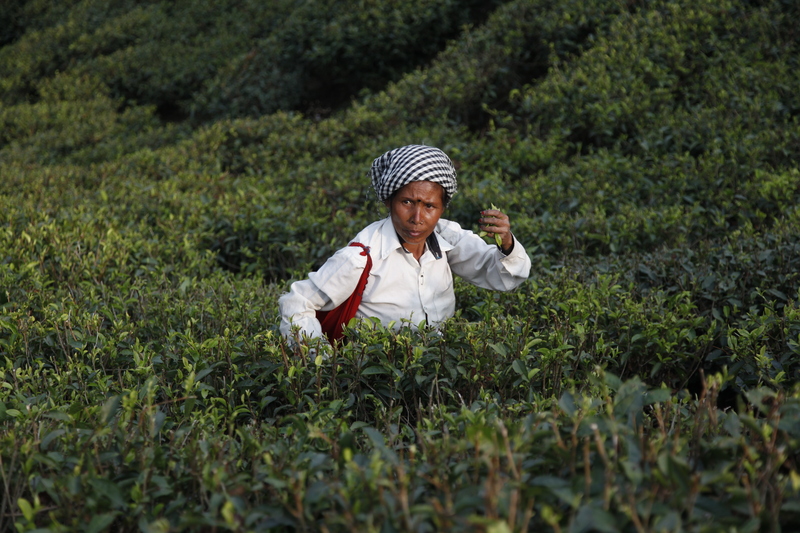 First flush teas are often the best, as the year’s first harvest. With winter coming to a close, cold nights keep the plants growing slowly, which results in richer flavours. 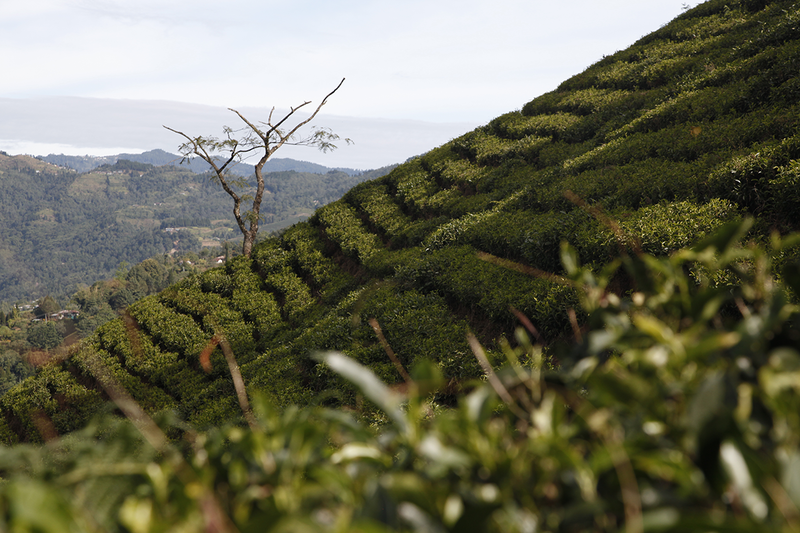 Every year, it is Darjeeling that opens the season, before Nepal, China, or Japan. 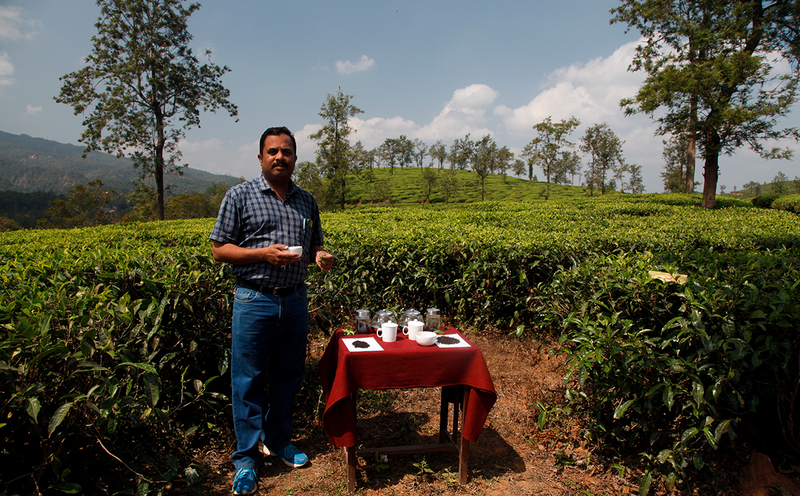 In March, I sometimes taste nearly a hundred teas a day, with each of the 87 tea estates in Darjeeling manufacturing very small batches—sometimes no more than 20 or 30 kilos. 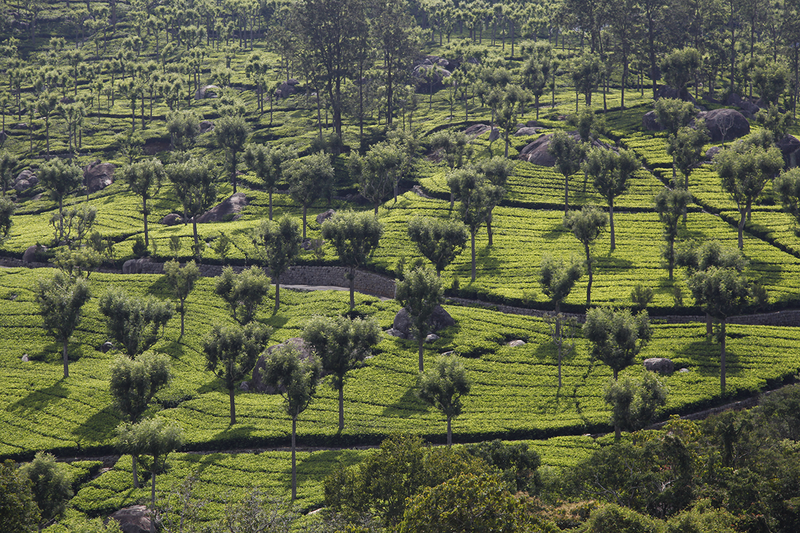 In this region, during the period when the highest quality of tea is produced, one day’s harvest is never mixed with the next. The result is a constant parade of very different tastings. Buyers snap up the very best batches in a matter of hours, at premium prices, which is why it is so important to know every producer and maintain the best possible relationship with each of them. Harvesting tea using shears poses a problem in terms of quality, as the stems get cut too, instead of just the shoot and the two next leaves. 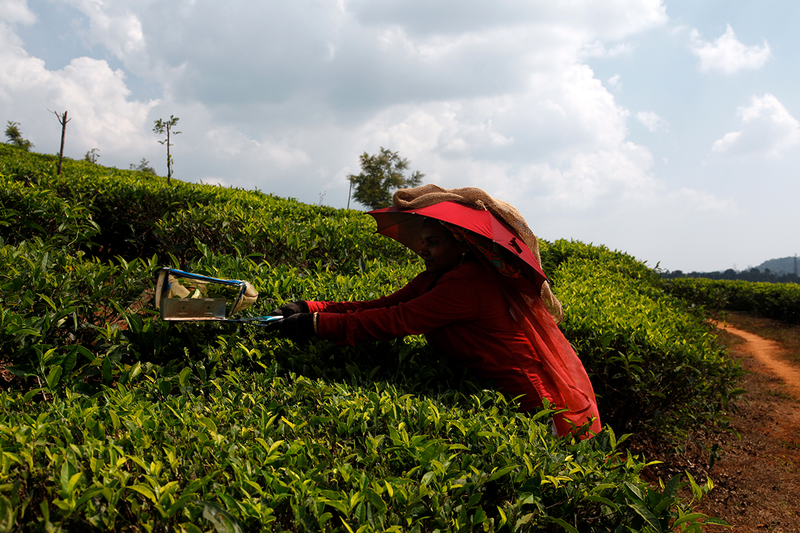 For a high-quality tea, nothing surpasses picking by hand. When, during my travels, I see someone using shears, I talk to the planter to find out why this is. Often, it’s due to a lack of workers. 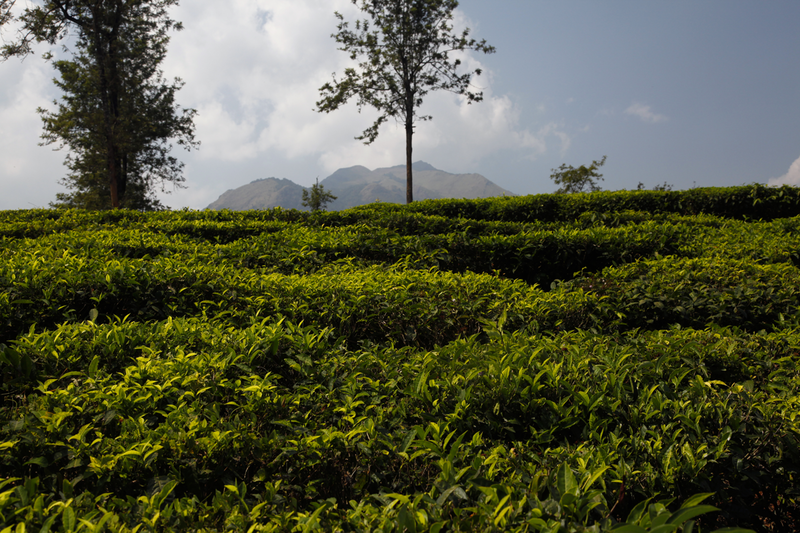 Another common situation is that the tea is picked by hand in the best season, and then shears are used for the lesser-quality harvests, and these leaves will be used for tea bags. 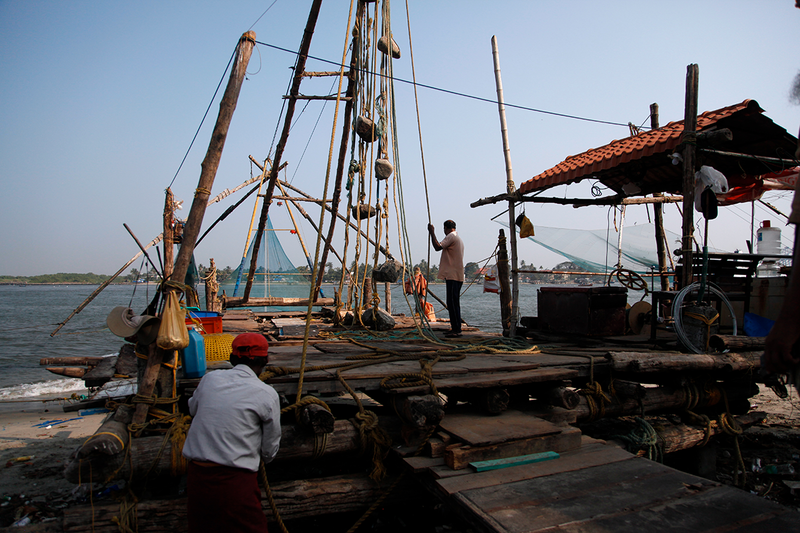 The city of Kochi (India) is one of the old trading centres that developed thanks to tea. 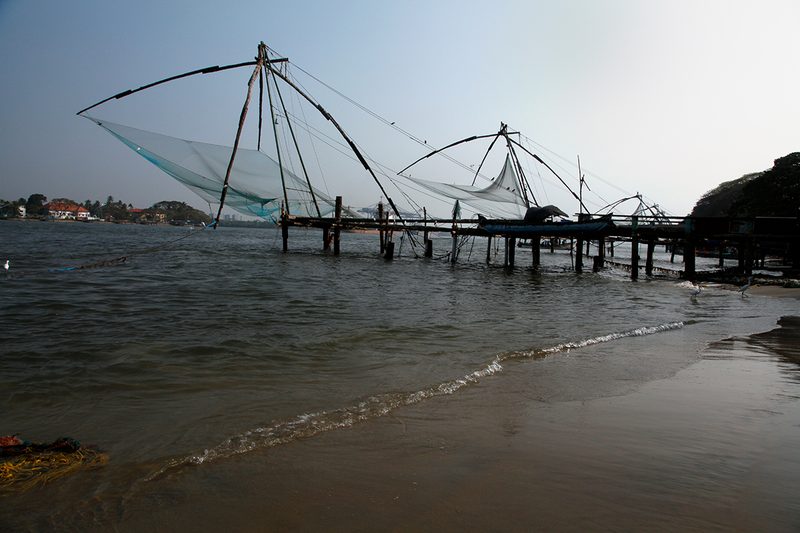 In the case of the capital of the state of Kerala, it was also thanks to spices, coffee and jute. These goods were all packed into the holds of ships that set sail for Arabia. Today, many Indian tea companies maintain a presence in this city, particularly on Willingdon Island. And if you wander along the streets that link the charming district of Fort Kochi to the area of Mattancherry, you will spot the wholesalers’ warehouses, selling whole sacks of tea and coffee, but also cardamom, ginger, pepper, nutmeg and more. It’s an aromatic experience that takes you back in time, surrounded by houses in the Portuguese and Dutch colonial style. The shadow of Vasco da Gama looms everywhere in the old town. 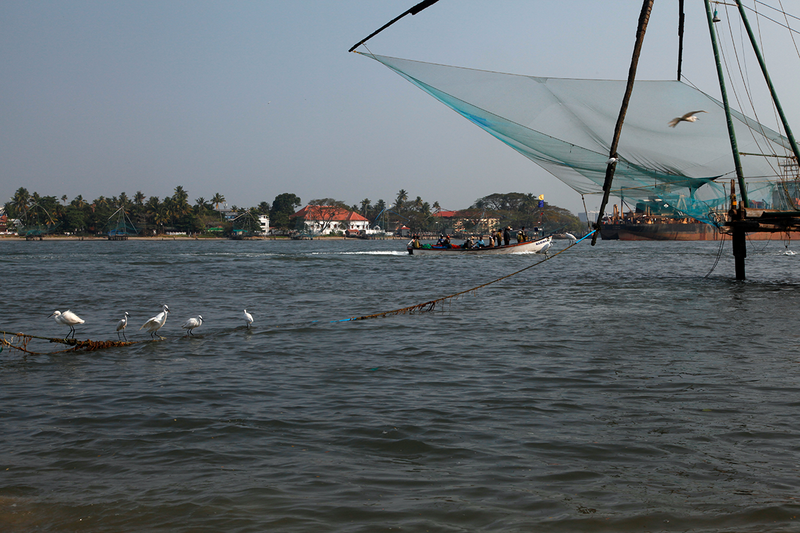 Not far from there, tourists enjoy watching the Chinese fishermen rigging up their nets, and weighing them down with heavy stones. 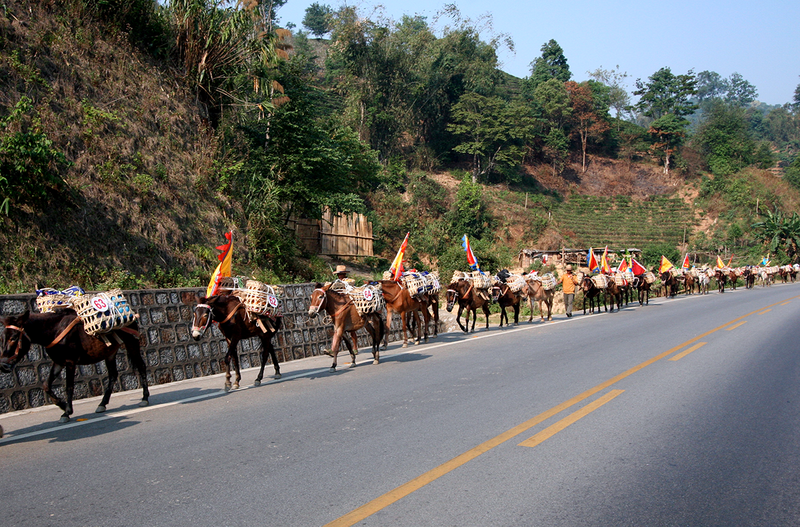 For centuries, tea travelled on the backs of donkeys, horses and yaks. 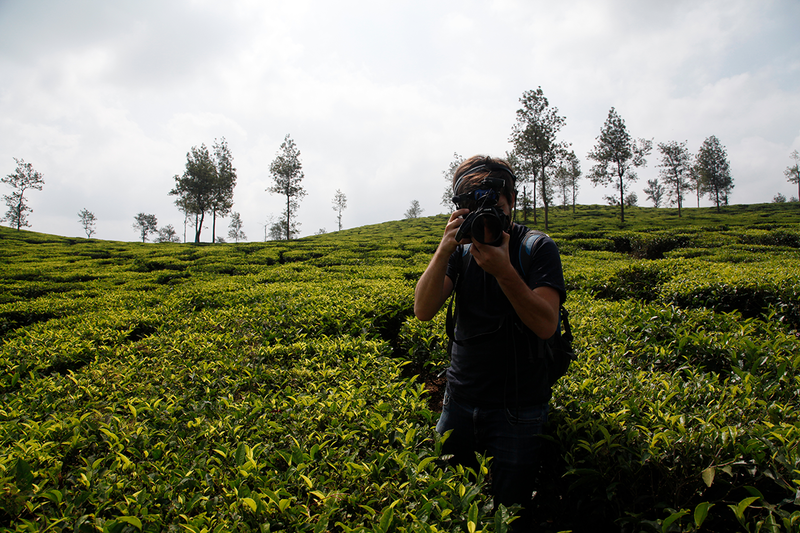 There were a number of tea routes. They started at the Chinese provinces that produced compressed teas (Yunnan, Sichuan, etc.) and led to Tibet. In those days, tea was traded for salt or horses. To perpetuate this tradition today, some people hold re-enactments, and you can watch hundreds of animals file past, carrying cakes of tea. When you prepare a cup of tea, you may find yourself wanting to know more about it. What sort of landscape did it grow in? Who are the people that grew and processed it? I hope to answer some of those questions in my blog! 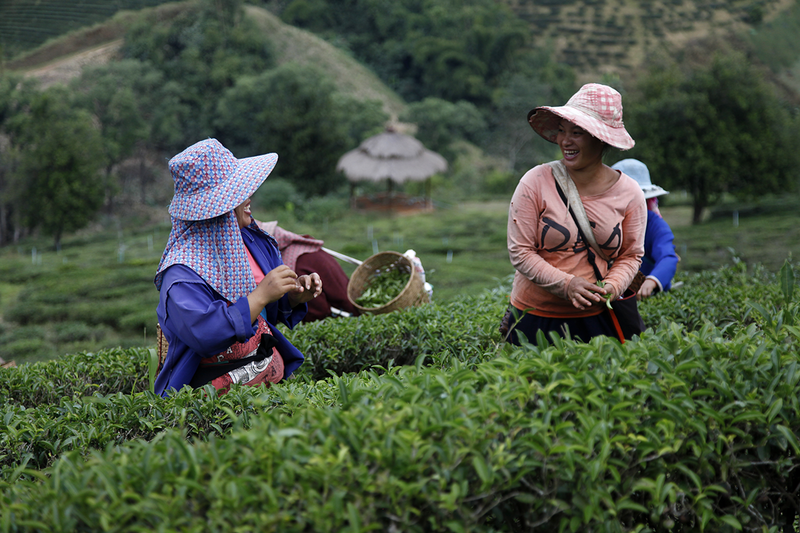 For fans of teas from northern Thailand (Milky Oolong, for example), here are the faces of the Mae Salong tea pluckers, hard at work harvesting the leaves.